This week — baby shower crafting! Well, the weekend flew by at my house, and it’s time to post again. As promised, I will show you step-by-step how I made a wedding gift last week. Even with gift registries, I still like making most of my gifts. Luckily for me, I only have a wedding or two every summer, so I can afford to spend the time doing so. The wedding I went to yesterday was for a friend’s older brother. Considering I haven’t hung out with him since high school, and I had never met his bride, I had to think of something that wasn’t overly personalized. I chose to make them a trivet in their kitchen colors. Whether they cook from scratch or prefer frozen lasagna, it will be something they can use. Like a lot of my start small projects, this is something even a beginner could sew. There is no pattern and uses simple techniques. Best of all, there is a lot of room for error. So if you want a good practice project you can use over and over again, give this project a try. First, gather up your supplies. Obviously, fabric is first on the list. 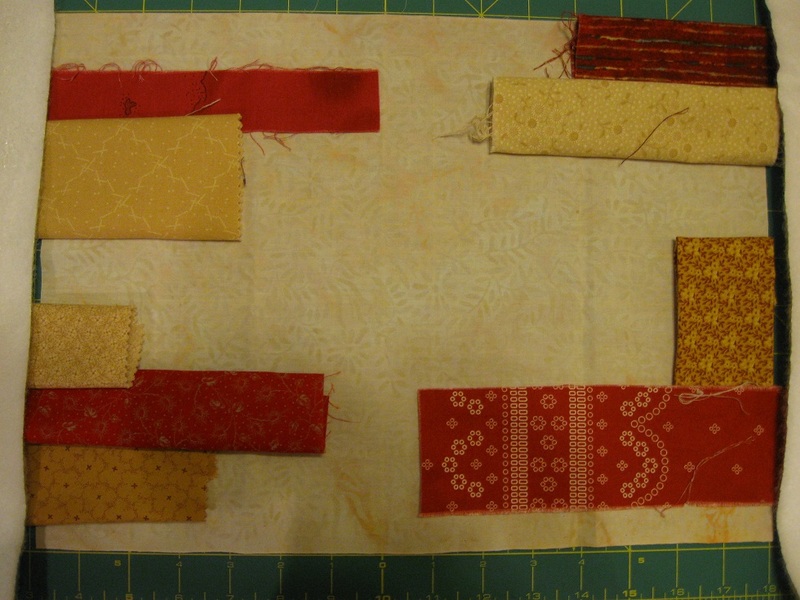 I started with the same red and beige fabrics from last week. 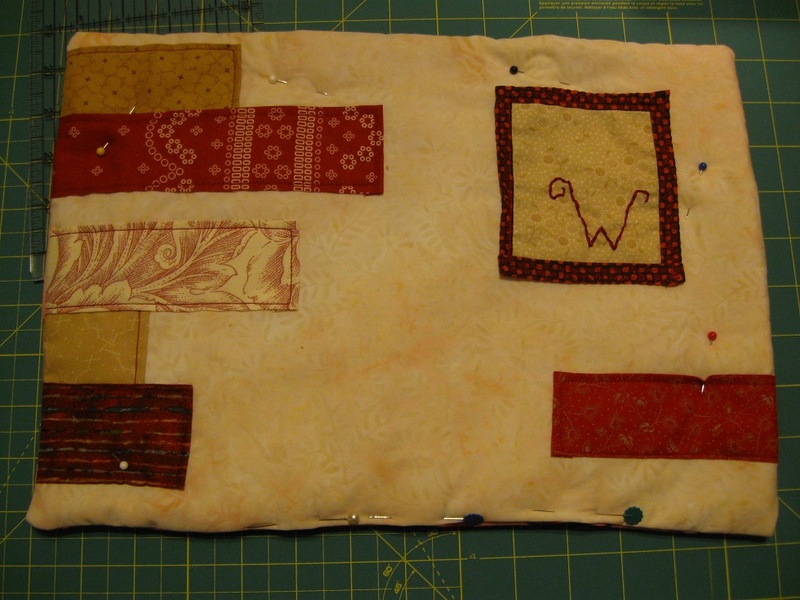 Then I added some red and tan scraps for the applique pieces. 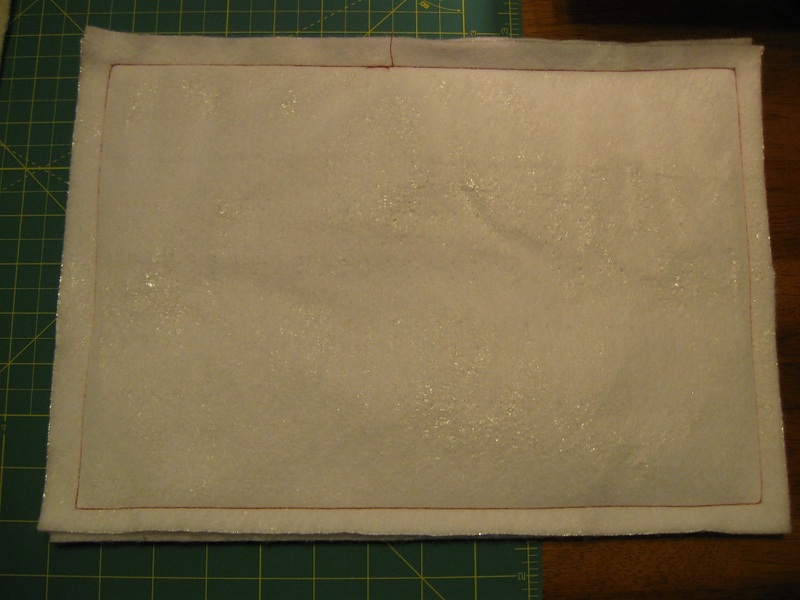 It’s important to choose 100% cotton fabrics for this part. If you uses synthetic fibers, you run the risk of them melting as soon as a hot pan touches them. Also, cotton will stand up to heavy wear and washing. And if you can afford it at all, use good quality fabrics, not the $2 a yard stuff. If this gets used on a regular basis, it will be well worth the investment. 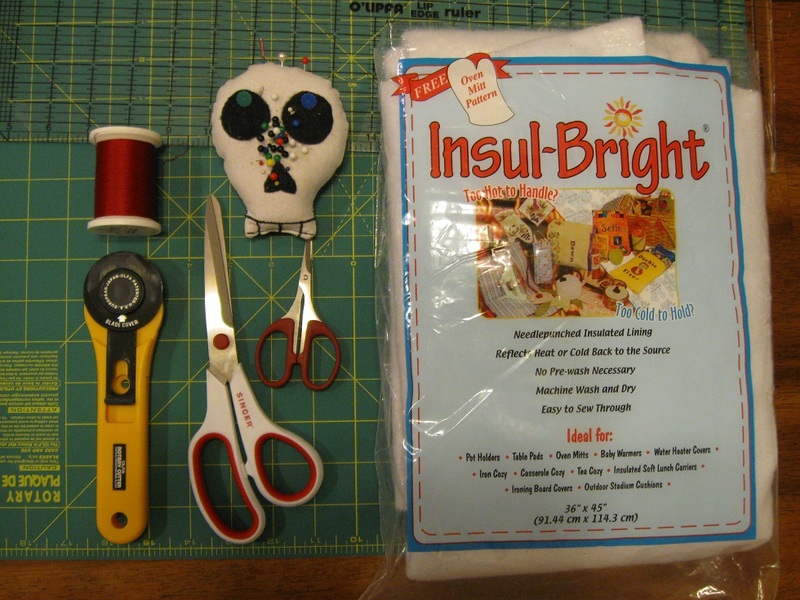 Other supplies: InsulBright, cotton batting, cotton thread, scissors, pins, fabric marker or pencil, ruler, cutting mat and rotary cutter. The last two are optional, but they make cutting a good rectangle far easier. You could also do this whole project by hand, in which case you would need a needle as well. 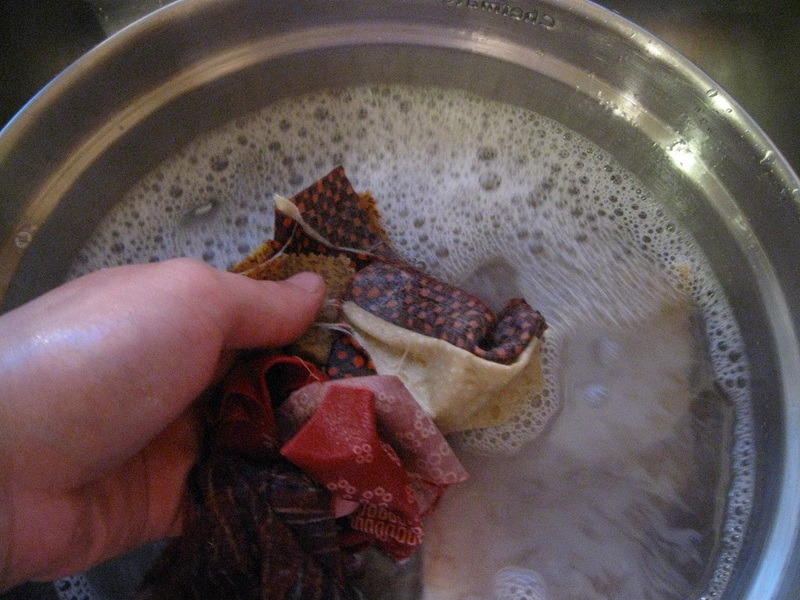 If you want to avoid your project rumpling, take the time to prewash and iron your fabrics. So now, let’s get into the steps. 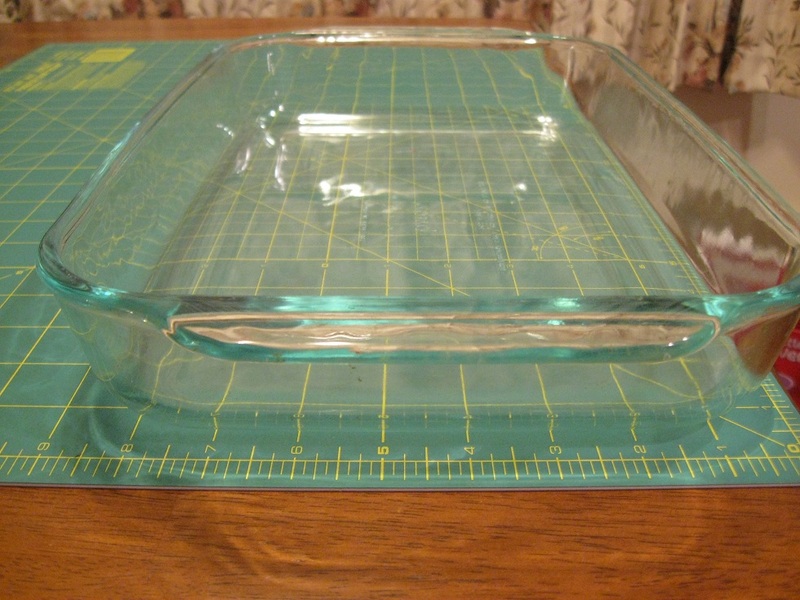 STEP 1: Measure the bottom of your dish and add one inch to each dimension. This ensures that you have some wiggle room in setting your pan down. My pan was 13″ by 9″, so I was shooting for having the finished trivet measure 14″ by 10″. STEP 2: Cut out two pieces of InsulBright using the measurements from Step 1. Line up the two pieces on top of each other and sew them together, about 1/2 inch from the edge. You may ask why there is no seam allowance added. Simple — I opted to insert the InsulBright after all the seams were made. I figured with two layers of fabric, two layers of insulation and one layer of cotton batting, if I sewed then all together at once, the seam would be overly bulky. STEP 3: Now you are going to cut out your outside and batting pieces. Add another inch to your Step 1 measurements. In my case, that came out to 15″ by 11″. This gives you a 1/2 seam allowance all around. Cut out one piece each of the front fabric and back fabric. 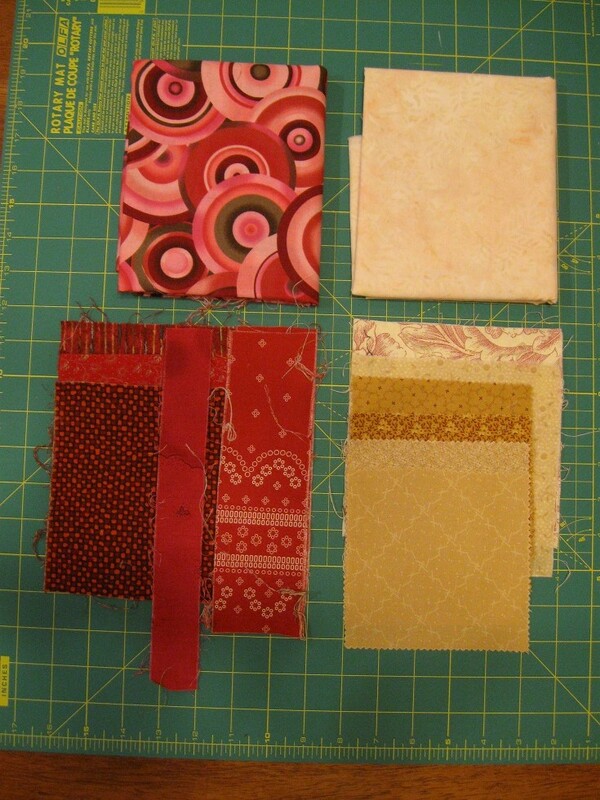 Also cut out a piece of fabric batting slightly larger than these pieces. Neatness doesn’t count on this piece. 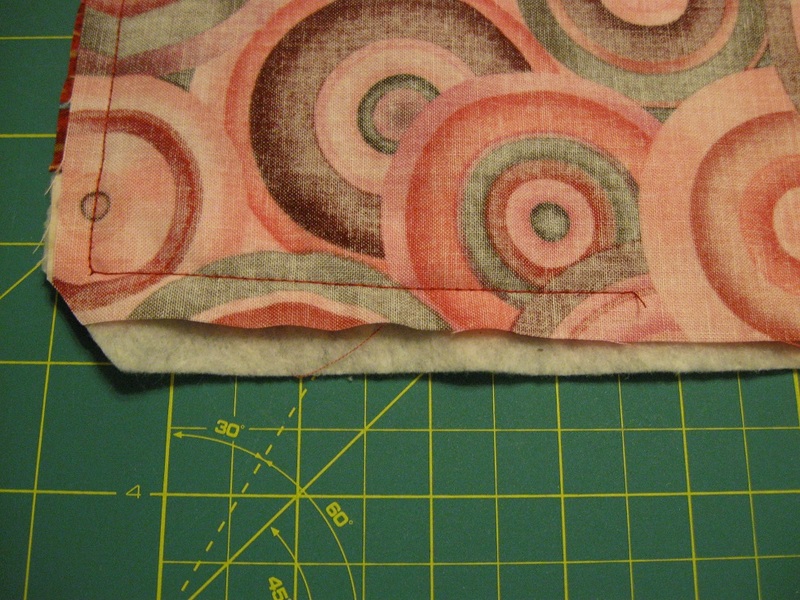 The extra material is just giving you wiggle room for the quilting process. Any excess will be removed later. 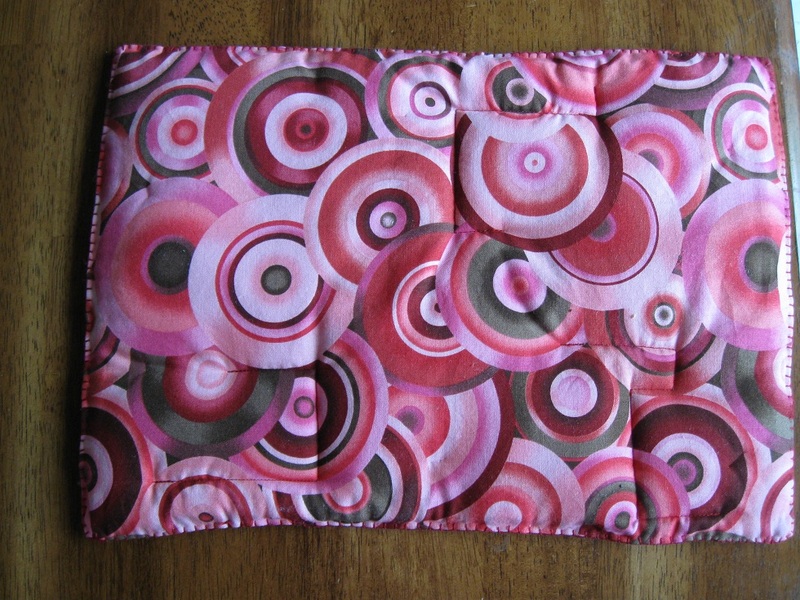 STEP 4: Roughly fold your fabric scraps and arrange them to get an idea of what looks good. Precision doesn’t count here, you just trying to ballpark what the finished piece will look like. 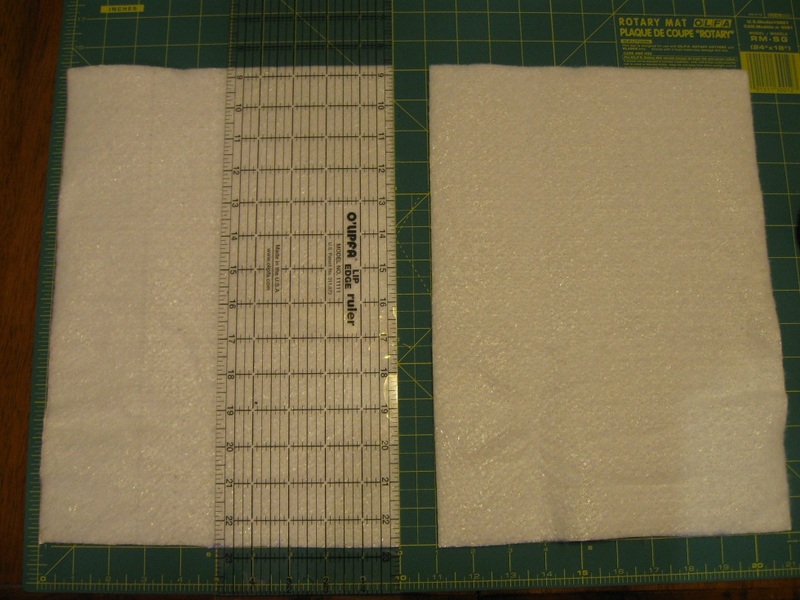 Once you are set on a layout, trim the scraps and iron about ¼ inch under on each side. 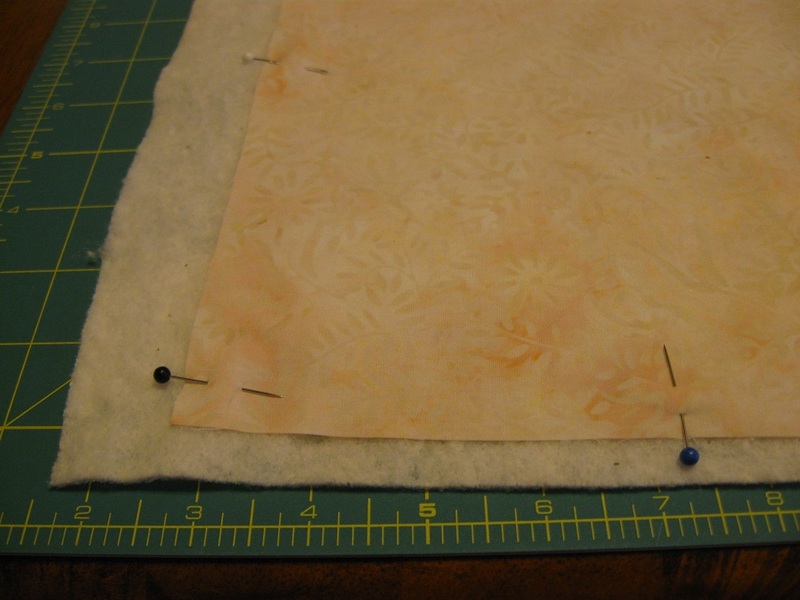 STEP 5: Pin the top fabric right side up on the batting. One at a time, place your appliqué pieces, making sure they over lap the edge to the top fabric a bit. 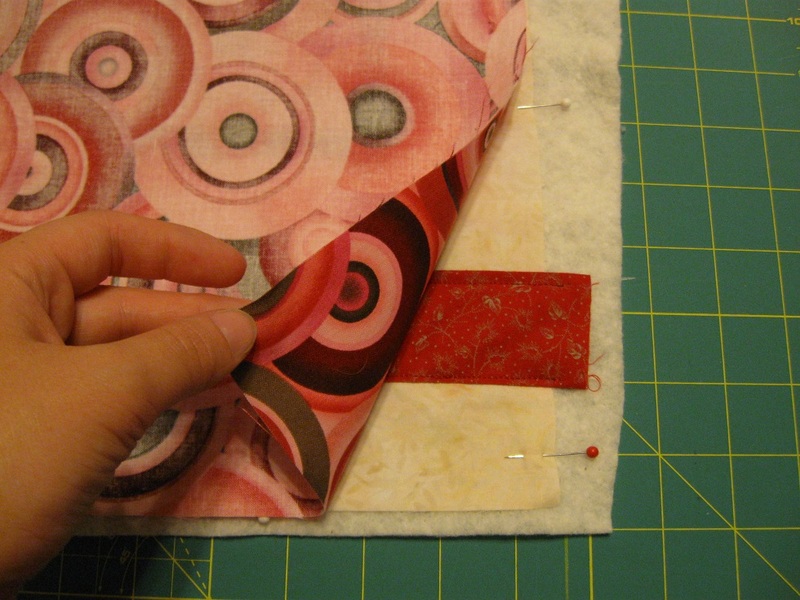 Stitch each piece down just inside the fold. For this project, I also created a monogram square with the bride and groom’s last initial. I sewed this on during this step as well. 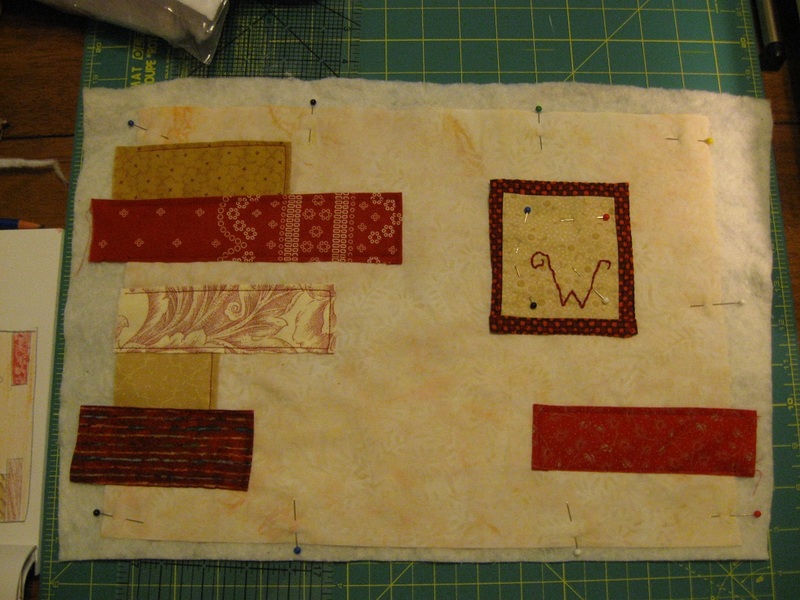 STEP 6: Once the top is all assembled, place the backing fabric right side down on top. Line up the edges of the top and bottom piece and pin into place. 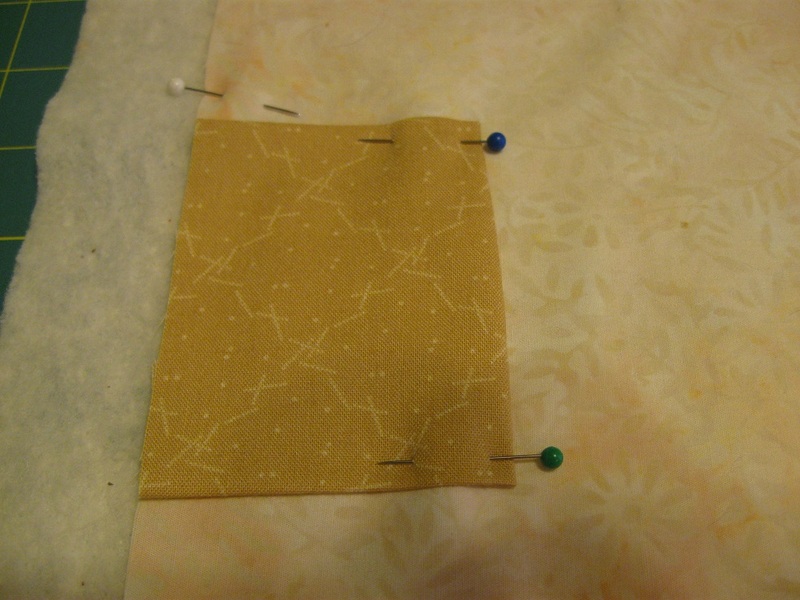 Using your pins, mark a four-inch opening centered on one long side. 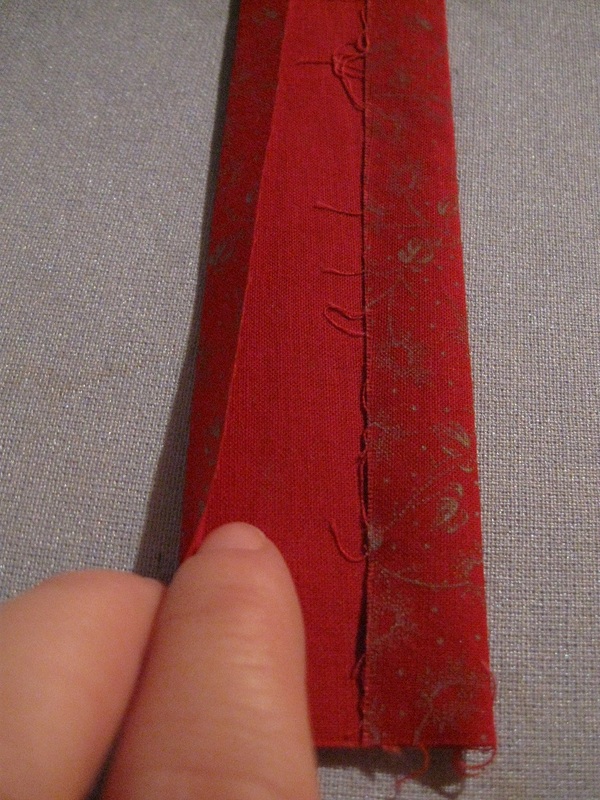 Stitch ½ inch in all the way around, leaving this marked area open. Trim your excess batting off. 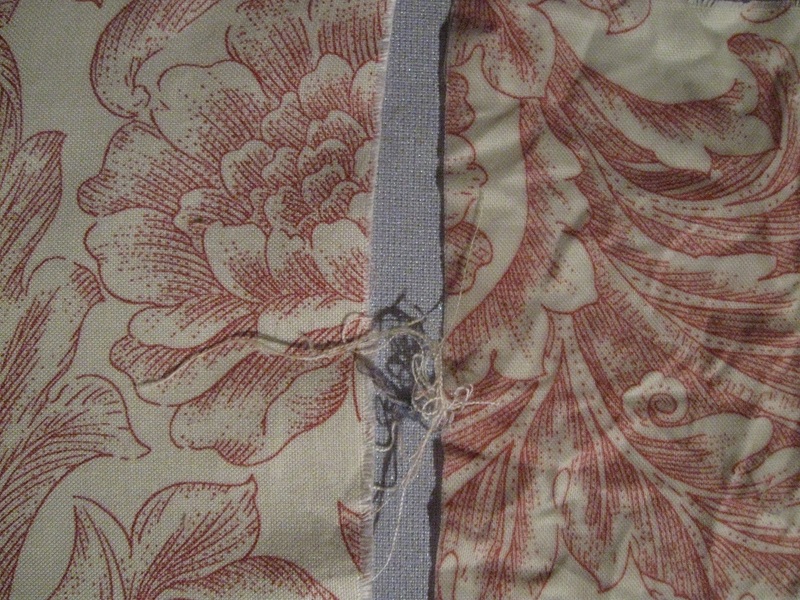 Also trim the corners, without getting too close to your stitching. Turn the whole thing inside out. You may need to use a chopstick to really get the corners turned all the way. STEP 7: Insert the InsulBright from Step 2 and smooth it out. Place pins a few places in the center of the trivet to keep the InsulBright in place. Turn in the raw edges at the opening and pin. Stitch all around the outside of the trivet. You can do this by machine if you want. 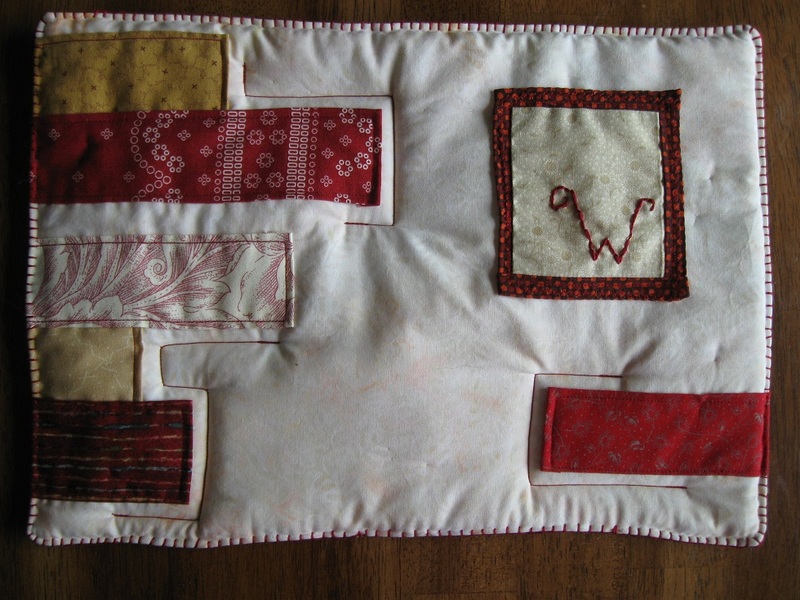 I chose to use floss and blanket stitch it all by hand. 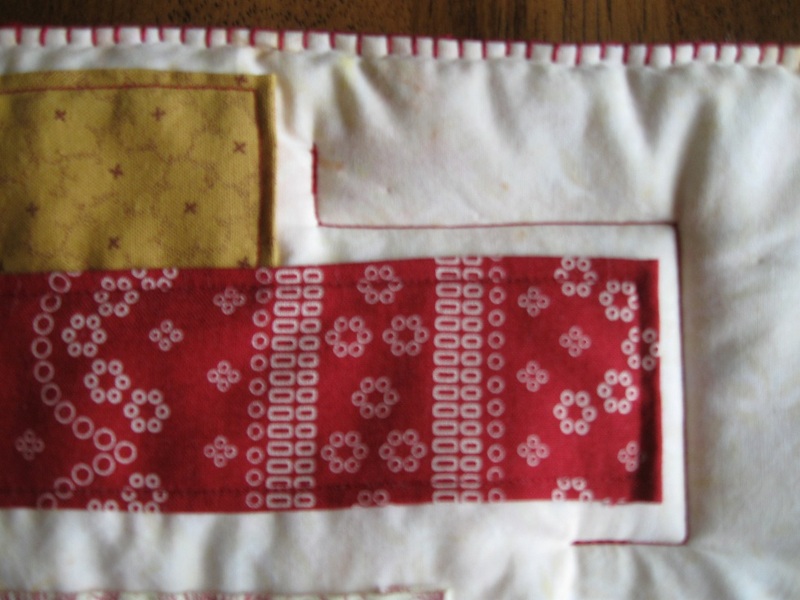 You will also need to do some quilting in the center to keep the insulation in place. 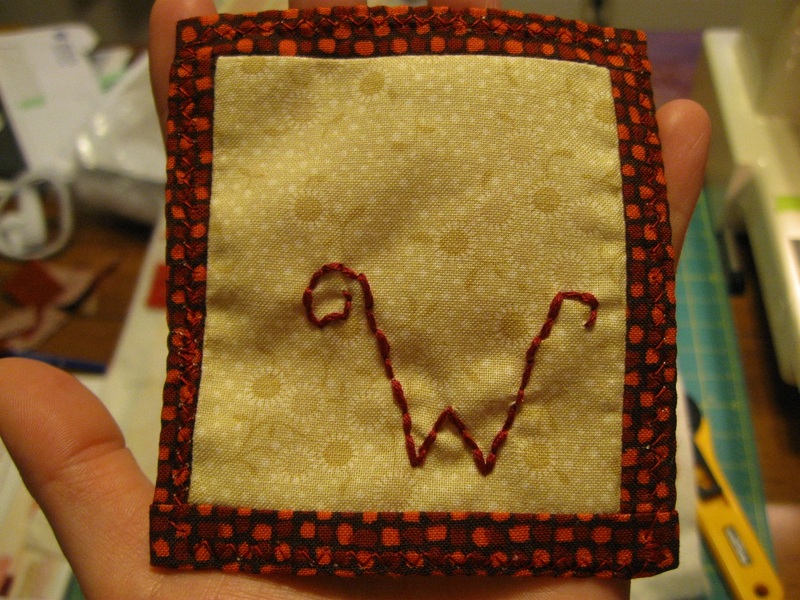 I did a quick stitch by machine along a few of the rectangle edges. STEP 8: Enjoy your completed trivet! 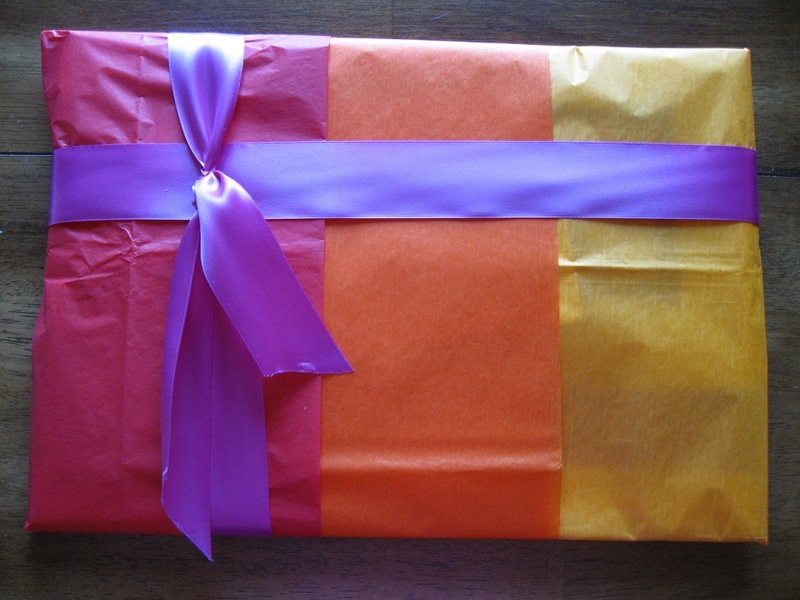 OPTIONAL STEPS 9: Wrap and give your awesome gift! 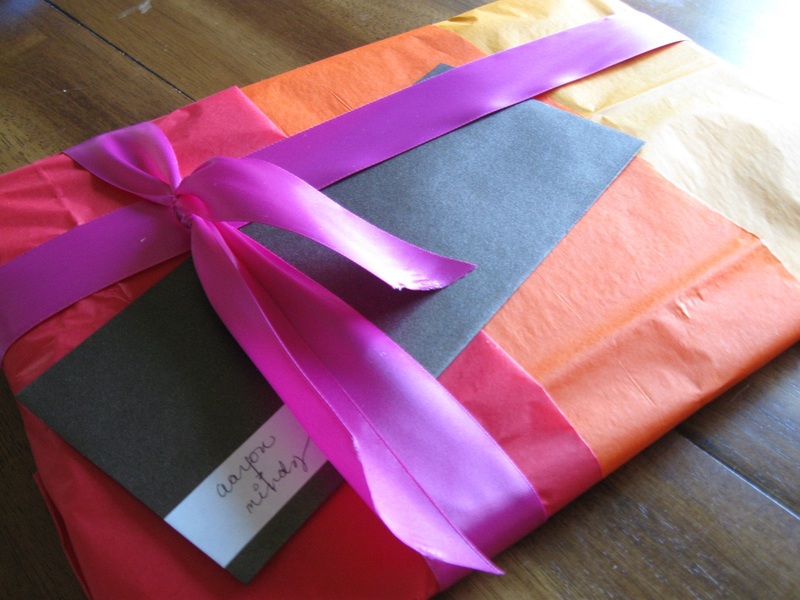 Layers of tissue and ribbon -- a great summer wedding color combo. 1. If you want a smooth, clean look to your trivet, make sure you prewash all fabrics and batting in warm or hot water to take care of shrinkage. 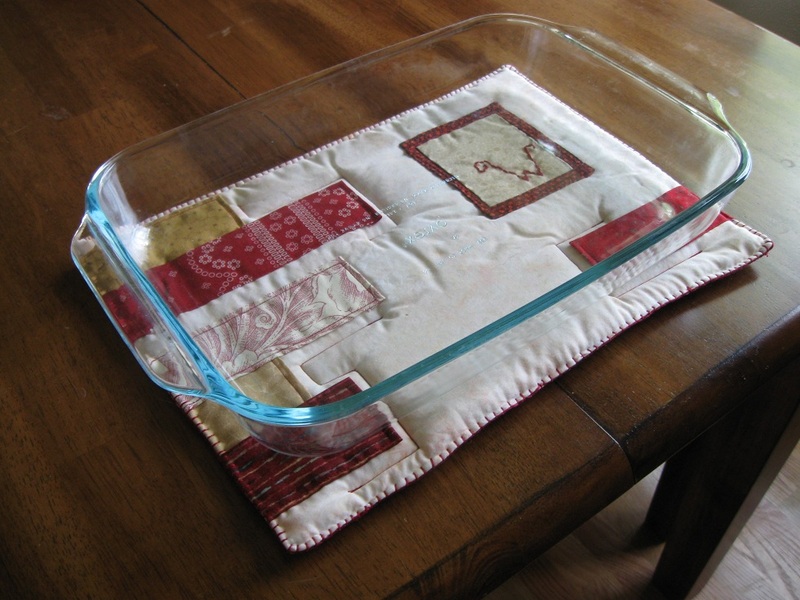 You can also skip this step, giving your trivet a slightly wrinkled look as you use and wash it. 2. Ironing your fabrics before cutting ensure that your sizes are dead on, and will save you headaches as you start sewing. So that’s it – a fun and simple weekend project, perfect for anyone who loves sewing. If anyone decides to follow this tutorial, please share pictures. I would love to see what you come up with!